> Light Color: White, Warm White, Red, Yellow, Green, Blue, RGB. > Product Efficiency: 85% Min. > Warrant: 3 years, The product design life is 5 years. The product is designed for private swimming pool or public pool,it is working at low voltage at 12VDC or 24VDC which are lower than the safety voltage of 60VDC, and we designed the light to compliance with UL and SLEV requirements, that will not cause electric shock even person has touched on the light. The light color can be changed in thousand pattern through RGB controller, the single color are also availabled. 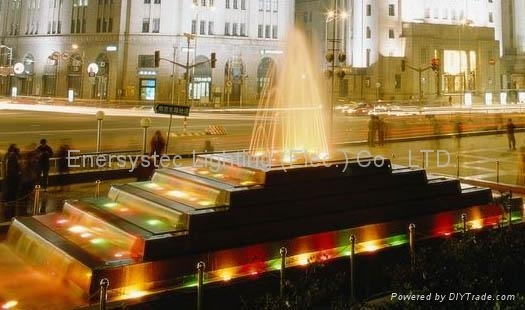 This is a safe, energy saving, long lifespan and colorful swimming pool light to our life.